Experience the difference at Class In Session through our unique one-on-one tutoring approach. Our programs are tailored to meet the individual needs of our students, and effectively address learning challenges. Do you have a child who needs a little extra help with reading, writing or spelling? If you would like your child to catch up or get ahead of their current grade level, give Class In Session a call! We use an Orton-Gillingham approach, which teaches the basic word formation before whole meaning. We have a team of teaching professionals, each with more than a decade of experience. We specialize in supporting Dyslexic students and students with reading and writing challenges. If you need a helping hand, reach out to Class In Session tutoring services! We’re here to help your child learn and grow. 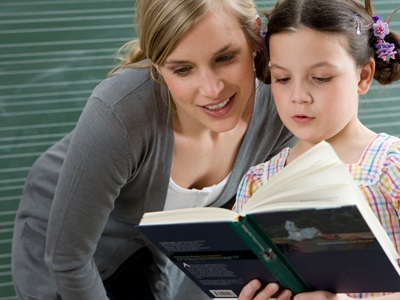 A proven tutoring method to improve literacy. It is especially for learners of all ages and those who struggle with Literacy skills. Students gain a clear understanding for the process of writing, through a variety of theme based activities. (Groups run weekly on Tues-Thurs 5:00pm-6:30pm & Saturdays 9:00am-10:30am/10:30am-12:00pm/ 12:00pm-1:30pm). We focus on comprehension, sentence and paragraph structure, responding to reading passages, creative reading and writing and skill development. We use an Orton-Gillingham approach. (Our camps run weekly throughout July and August from 9:00am-12:00pm). Topics may include: Creating a Graphic Novel, Top Secret Spies, Become a Scientist, Back to School Preparation and Creative Writing through Short Stories. An analysis of the students learning style and needs. Personalized instruction in reading, writing and spelling skill development using an Orton- Gillingham approach. This is ideal for students with Dyslexia or Literacy challenges. Individualized support, for educational planning and academic success. "Our family is so grateful to CIS. Our son was diagnosed with a phonological segmentation learning disorder that made it difficult for him to read at his grade level. When we started with OG tutoring two years ago, our goal was to get him up caught up so that he could read at his grade level. Thanks to CIS, we exceeded that goal. My son was recently tested and now reads at a grade 6 level and he is in grade 4. Not only would we highly recommend the Orton Gillingham approach, we wholeheartedly recommend CIS. The Director is conscientious, patient and dedicated to helping children succeed! Thank you Class In Session!" While my daughter was taught by CIS she strengthened her comprehension which I thought my daughter would never be able to do. For this I am very grateful. CIS is a great asset to my daughter's learning and knowing what steps she needed to take next. Thanks CIS!! Thanks to Class In Session's expertise and use of Orton- Gillingham, we have seen a great improvement in our daughter's reading and spelling. The even greater benefit has been our daughter's increased confidence at school. My son has jumped 2 reading grade levels in a short amount of time. He enjoys his weekly tutoring and now reads for leisure! CIS is an excellent centre for struggling students. Our daughter has had great success at Class In Session. She is a more confident writer and speller. We've recommend CIS to our family and friends. The 1:1 Orton-Gillingham tutoring my daughter received from CIS, is responsible for her academic success. She is now reading at a grade 5 level while only in grade 4!